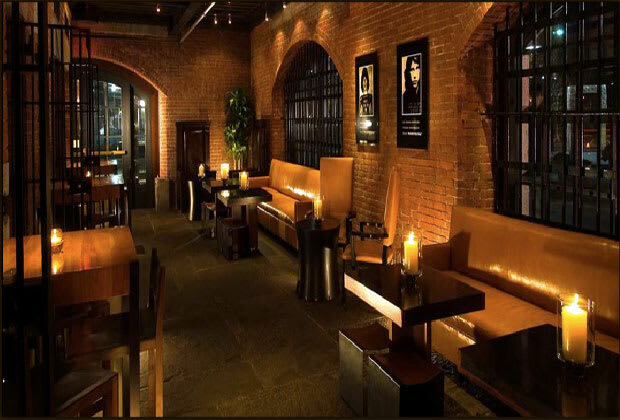 Brick walls, candle-lit tables, leather couches, and bluestone floors have this place looking mighty fancy for a spot that used to be a jail. You can have a drink while peeping the celebrity mugshots on the walls, or head out to the outdoor patio and enjoy the fresh air. We also hear there are plenty of pretty chicks by the bar. Pick one out, buy her a drink, and see if you can move things to the hotel. Great way to spend a night in jail, wouldn’t you agree?